Synopsis: Another Life is an award-winning thriller about a young female veteran tapped with the daunting task of killing a fellow soldier. Tracy was born and raised in County Meath, Ireland. After school, Tracy went to New York to represent Ireland in the Helen Rogers International Model and Talent Association. Tracy remained in New York City to pursue her acting career, earning theater credits in several productions. Tracy broke out onto film with her first on-screen credit in Woody Allen’s Celebrity, and then went on to star in the TV series, Love Without Borders. After moving to Los Angeles, Tracy appeared in English Writer/Director Jake Kennedy’s new film, Penance, and starred in the cult horror hit phenomenon Zombie Honeymoon. Recently, she took the lead alongside James Russo in the psychological thriller Dark Woods. Tracy will reprise her role as Diana in the sequelZombie Honeymoon 2 which will be executive produced by John Landis. Robert W. Evans - "Scott"
Robert grew up in Mobile, Alabama. He studied Theatre Arts at the esteemed Tennessee Williams Center at The University of the South: Sewanee. After graduating, Robert scored a small role in the indy film The Novice, with Alan Arkin and Frank Langella. Soon afterwards he landed a supporting role as Orville Gilley in the historical drama Heaven’s Fall, where he worked with Leelee Sobieski, Timothy Hutton, and David Strathairn. In 2004 Robert moved to New York, where he continued to hone his craft at the legendary Stella Adler Acting Studio. He also found himself in a number of Off-Broadway plays, including Shakespeare in the Park’s Romeo & Juliet. Robert also starred in numerous independent short and feature films, including …Around, which has just been released worldwide. Currently, Robert lives in Los Angeles and continues to work in film. Nathan Ruegger is an award-winning writer-director of crime thrillers and family dramas. Raised in L.A. by an actress and a writer-producer, he has been immersed in filmmaking his whole life. 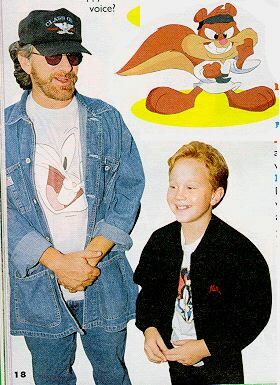 At the age of 7, Nathan worked for Steven Spielberg as a voice actor on the Emmy-winning series Tiny Toon Adventures and from there... he was hooked. Nathan graduated Dartmouth College with High Honors in Film Studies, the Dartmouth Film Award, and acceptance into USC's School of Cinematic Arts. While at USC, Nathan was a finalist for the Coca-Cola Refreshing Filmmaker's Award and wrote two feature screenplays, which lead to winning Finalist at the Page International Screenwriting Awards (ongoing) and a feature writing assignment for an established producer. His short film Another Life won the Gold for Best Original Dramatic Short at the Houston International Film Festival and Official Selection for 12 Film Festivals including Temecula Valley Film Festival, Newport Beach Film Festival, and Rome International Film Festival. Today, Nathan Ruegger is writing his directorial debut. Born and raised in San Rafael, CA, Elizabeth Manashil knew she wanted to be a filmmaker at age 16 while watching Truffaut's Stolen Kisses in a class on Auteur Filmmakers taught by Sandy Handsher. In 2002, she earned her Bachelor of Arts in Film and Media Studies at Washington University in St. Louis, where she founded and lead a film production and appreciation society SPLICE for two and a half years. In the past few years, she has worked closely with John Morrison of the California Film Institute, Michael Shamberg of Double Feature Films and Adam Goodman of Paramount Film Group. Elizabeth is a recent graduate of the USC School of Cinematic Arts M.F.A. program, with a concentration in Film and Television production. She currently resides in Los Angeles, CA. Growing up in Osaka, Japan, Mitsuyo developed a rich experience working as an actress and a photographer. Her many acting credits include Memoirs of a Geisha and You are Here (Cannes 2004) and her photography credits include LA Weekly and The Source magazines. In 2006, she was a translator and a P.A. for Nanking, a documentary feature that won Best Editing at Sundance. At USC, Mitsuyo has written, directed, and produced over fourteen short films, including the finalist film in the Coca-Cola Refreshing Filmmaker competition, Moonlight Theater. Mitsuyo is currently taking her award-winning film Tsuyako around the festival circuit. Min was born and raised in Shanghai, China. She graduated from Dartmouth College, where she studied computer science and economics, met Nathan, and shared with him their common passion for film. Min went on to work in New York and L.A.’s finance industries, only to find herself collecting friends’ screenplays and building contacts in the film industry. Min recently graduated from Stanford University’s Business School and continues to spread the word on Another Life. Jay Visit is an award-winning cinematographer who shoots narratives, music videos, and commercial projects. His recent credits include Our Neck of the Woods (an official selection at the 2009 Sundance Film Festival), Jay and Seth vs. the Apocalypse starring Seth Rogen and Jay Baruchel, and the Make Me Over music video for Lifehouse. Jay holds a Masters Degree in Film Production from USC and currently resides in L.A.
Beth is a recent graduate from the M.F.A. Film Production program at the USC School of Cinematic Arts. A Missouri native, Beth fell in love with filmmaking when she took an elective media course in college. While at USC, she found her niche in editing, enjoying the collaborative role the editor has in weaving the story together and creating the emotional journey for the audience. Beth has since edited numerous shorts including two other USC thesis films,11 Weeks and Molly Goes West, photographed in India and Utah respectively. Beth is currently editing two feature documentaries. Jill Blackledge is a recent M.A. graduate in the Critical Studies program at USC. Her research interests included popular American cinema, the Hollywood musical, fashion culture, and production and costume design. She received her B.A. in English literary studies from Iowa State University in 2007. Jill has designed many USC films, such as the 546 film Sammara, as well as intermediate and advanced directing projects and music videos. She also assisted in art and costume departments on a Heineken music video and a Coca-Cola finalist film.